While preservatives are designed to preserve food and prevent bacterial growth, several studies have shown that they may have long-term harmful effects on consumer health. 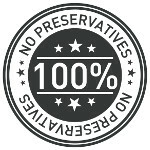 We ensure that CP poultry products are preservative-free. Our poultry is raised without any artificial or added hormones, and with no added chemical preservatives or hydrogenated oils. We also ensure that the poultry does not contain colourants.